We would like to congratulate Ben on being June’s Super Hero. 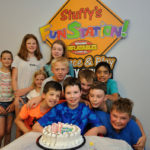 On July 8th, we held a surprise party for him at Stuffy’s Fun Station. 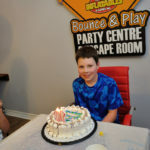 Ben recently turned 10 and was nominated to be a super hero by Rachel, a family friend. Ben’s story was truly compelling and we were so happy to make a day extra special for him, his family and his friends. Welcome to the Hall of Stuffy’s Heroes Ben! May’s super hero giveaway was awarded to the Niagara Children’s Centre. You can read about them in this post. 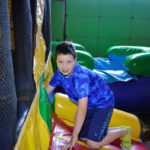 Do you know a child that is deserving of a special party in their honour? Nominate a super hero.